The 18th Annual DASC Championship Show will be held at the award-winning El Sueno Equestrian Center in Somis, CA on September 4th – 6th, 2015. We look forward to a weekend of great competition and good times for all. The 17th Annual DASC Championship Show will be held at the award-winning El Sueno Equestrian Center in Somis, CA on September 5th – 7th, 2014. There are some changes to how this show will go and we look forward to a weekend of great competition and good times for all. Don’t miss some great fun at the Championship Show! Friday Night Welcome Party! Friday is the warm-up day, and what better way to kick off a great weekend of competition, is the annual wine and cheese Welcome Party?! We’ll meet at the Cantina after the last class of the day to try some great local wines and delicious snacks and cool music. SHAVE IT! Because sometimes showing in September feels like you’re walking on the surface of the sun, we’ve come up with a way to cool you off! On Saturday, during the lunch break, the ShaveIt! shave-ice truck will be at the show! All entered riders will receive a coupon for a FREE ShaveIt. Dressage Equitation Championship – Once again this year, DASC is recognizing great riding skills for both Adult Amateurs and Juniors with the exciting Dressage Equitation Championship. Any AA or JR who has one score of 58% or better in a Dressage Equitation class -OR- who is qualified for a Championship Class at any level, may sign up to compete in this fun class. Beautiful awards for the Champion and blingy medals through 6th place will be awarded to the winners. The class fee is only $25 – don’t be shy, sign up for this one!! 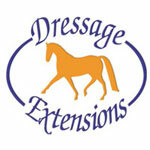 Official Rules for Dressage Equitation Championship – click HERE. Vendor Village – we’ve got some great vendors coming to this Championship Show – be sure to stop by and support their businesses! Some of our vendors already signed up are Custom Saddlery, LA Saddlery, Art by Cheryl Pelly and Talking Horseshoes, and more! We would love to have more vendors – if you, or someone you know would like to be a vendor at the Championship show – drop a note to office@socaldressage.com asap!! Parade of Champions – Please keep it in your plans to be sure to attend the awards presentation ceremony and Parade of Champions for your level/division. This is an important part of the DASC Championship show for spectators and sponsors, and we try to make it as special as possible for our competitors. We will present leather halters and champion sashes to Champion horse and riders at each division/level and fancy neck ribbons through sixth place. A photographer will be available to capture your hard-earned and well deserved victory lap! We need SCRIBES, RING STEWARDS, TEST COLLECTORS, HOSPITALITY CREW, OFFICE HELP, AWARDS HELP, SET UP (Thursday) and TEAR DOWN (Sunday), and SILENT AUCTION HELP! We’ll feed you, water you, and give you a cool gift bag, along with double VIP points and our un-ending gratitude and support. We can’t do it without you! Note on STABLING: Unlike in years past, this year, stabling is *very* limited. Additional temporary stabling is not available, so requests for stabling will be granted on a first-come, first-served basis. It is highly probable that tack stalls will not be available, due to the high volume of requests for horse stalls. Trailer-ins *will* be accepted this year and grounds fees will apply. The 16th Annual DASC Championship Show will be held at the award-winning El Sueno Equestrian Center in Somis, CA on September 6th – 8th, 2013. There are some changes to how this show will go and we look forward to a weekend of great competition and good times for all. Each Year, the Dressage Association of Southern California presents awards to high performing horse and rider combinations at all levels, in three separate divisions (Open, Adult Amateur, Junior). You can find the 2014 Year End Performance Award results HERE and the 2014 Year End Breed Recognition Awards HERE.